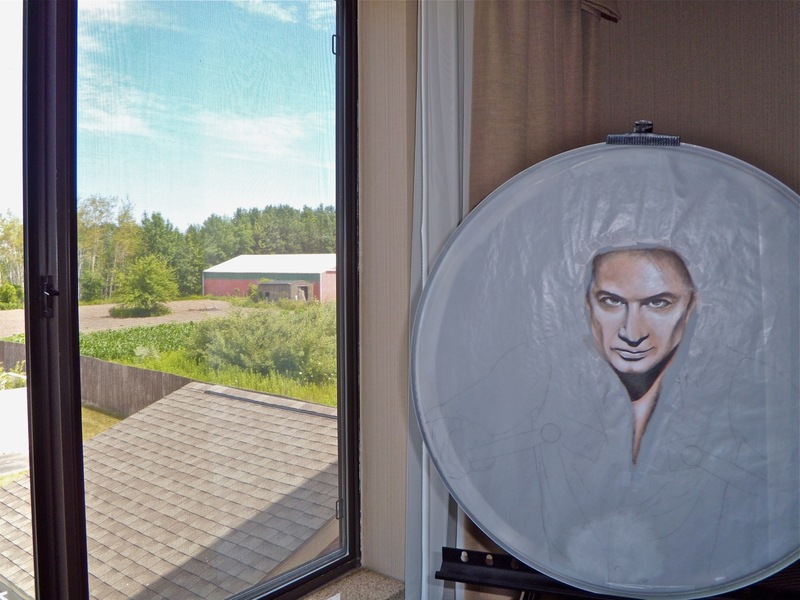 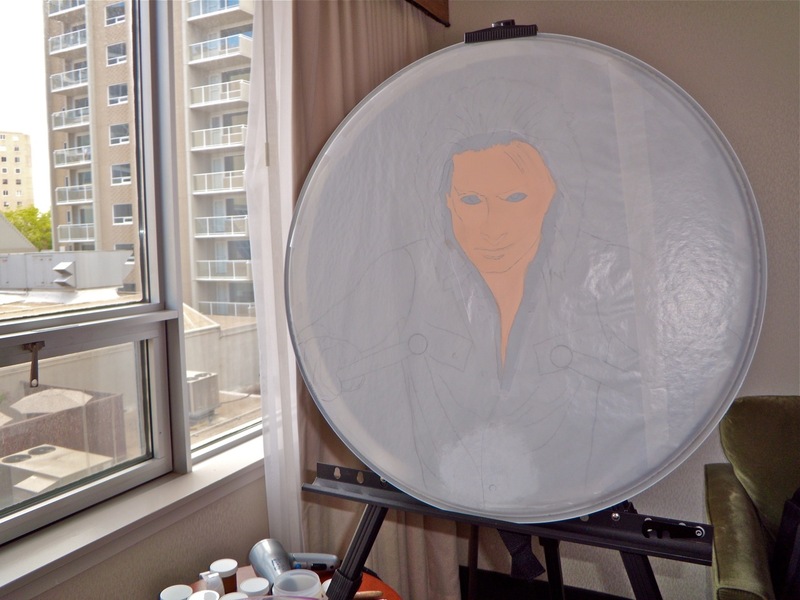 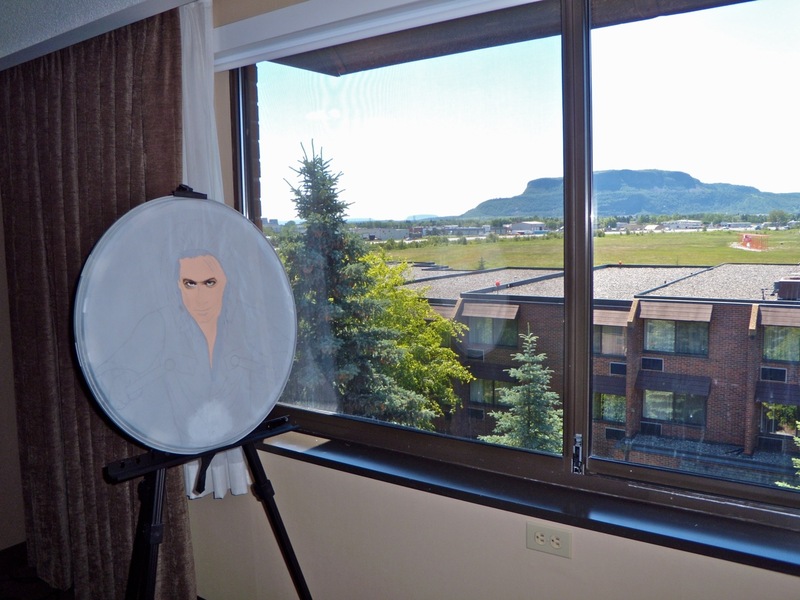 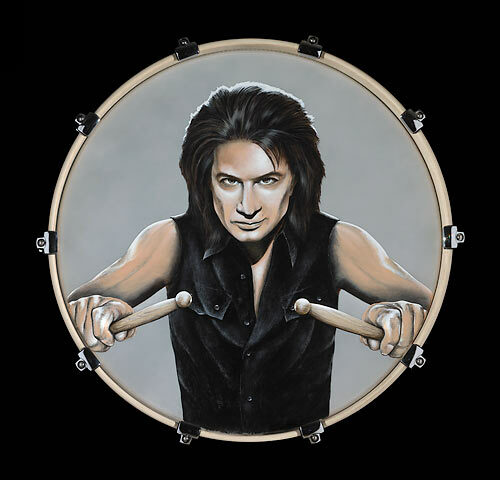 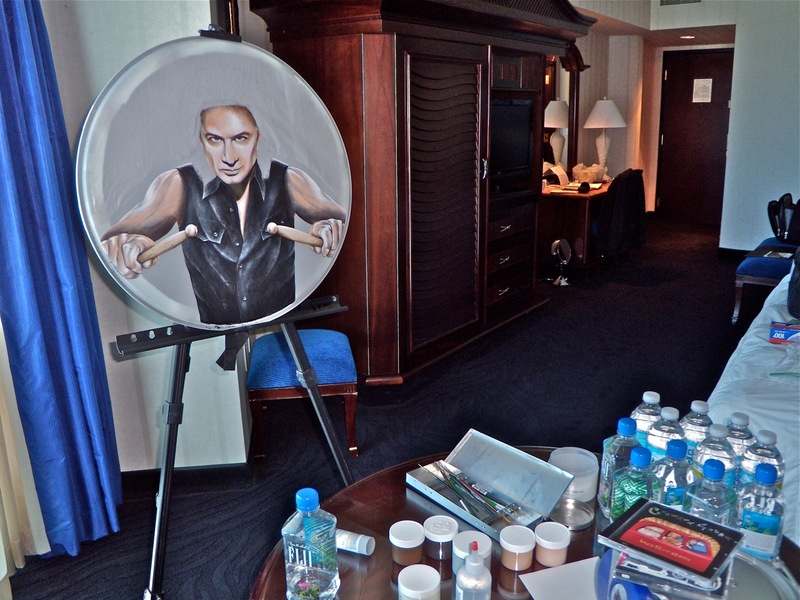 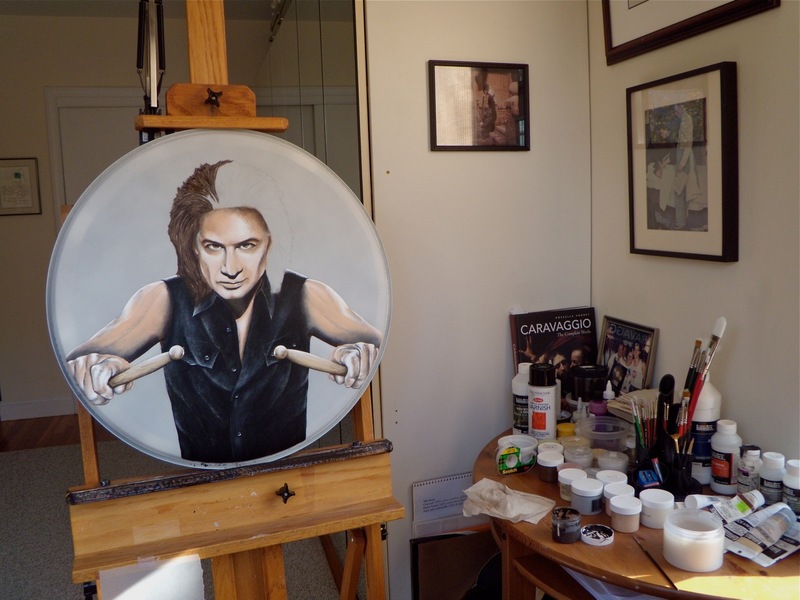 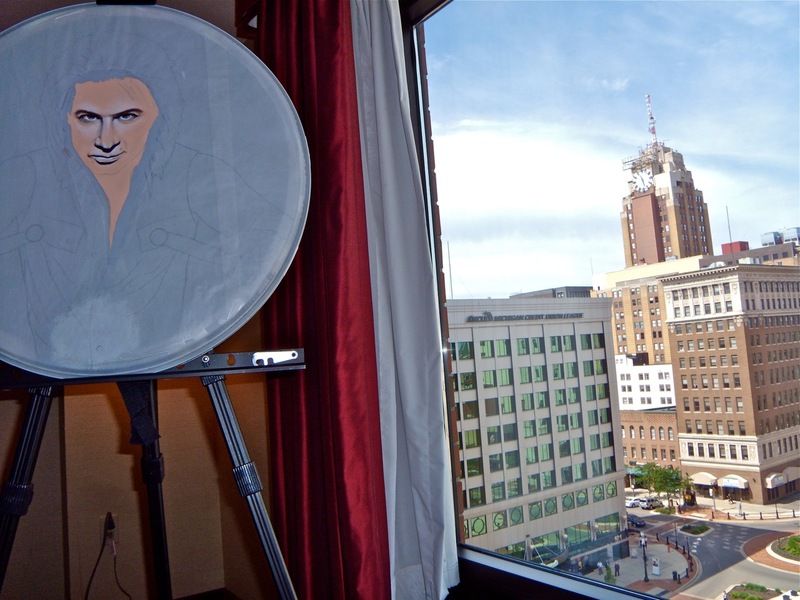 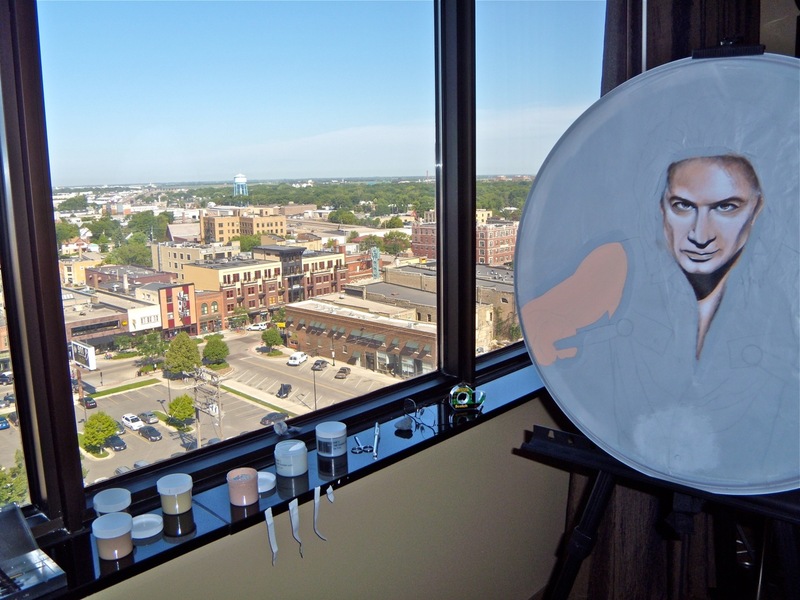 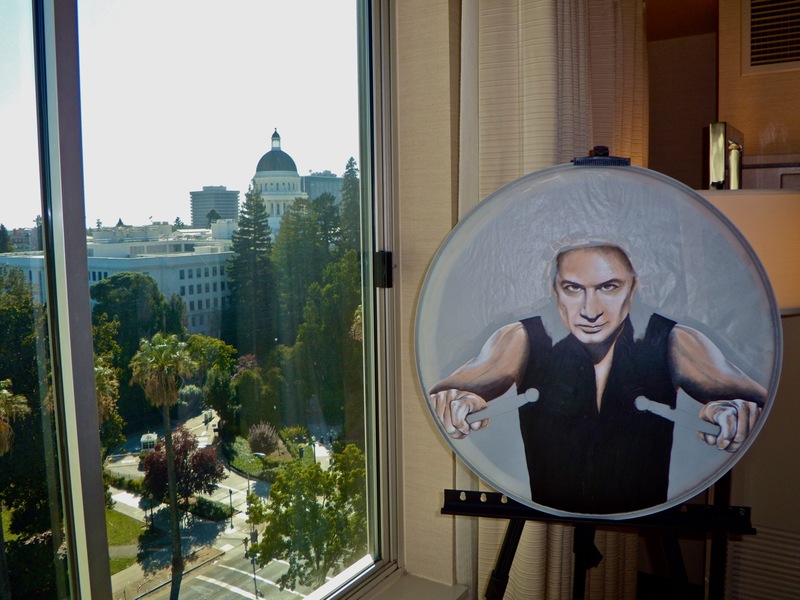 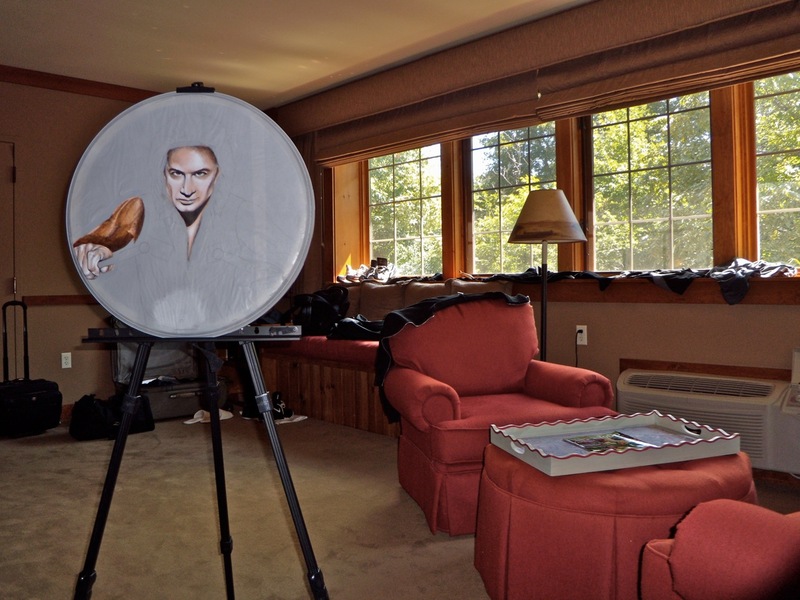 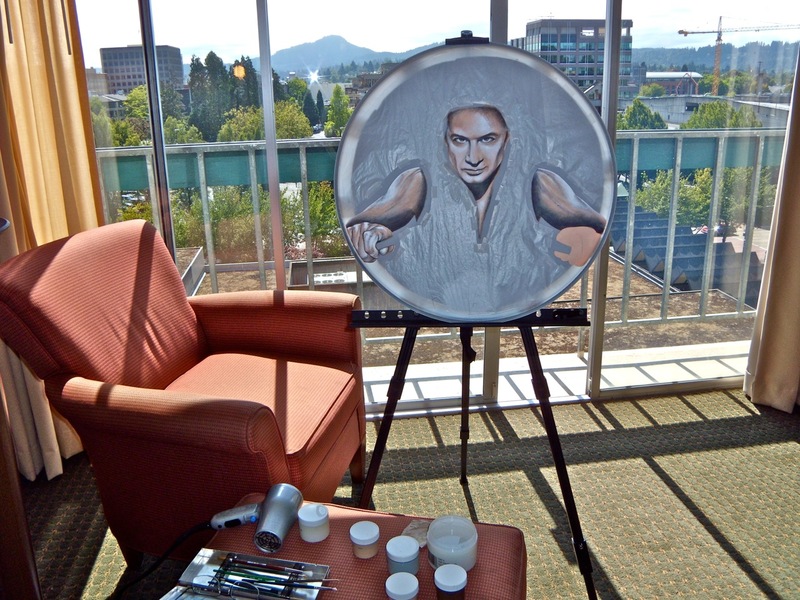 In Michael's words, "It seemed only fitting, upon painting my Self-Portrait, that I created it as a mirror image, using a drumhead as the mirror". 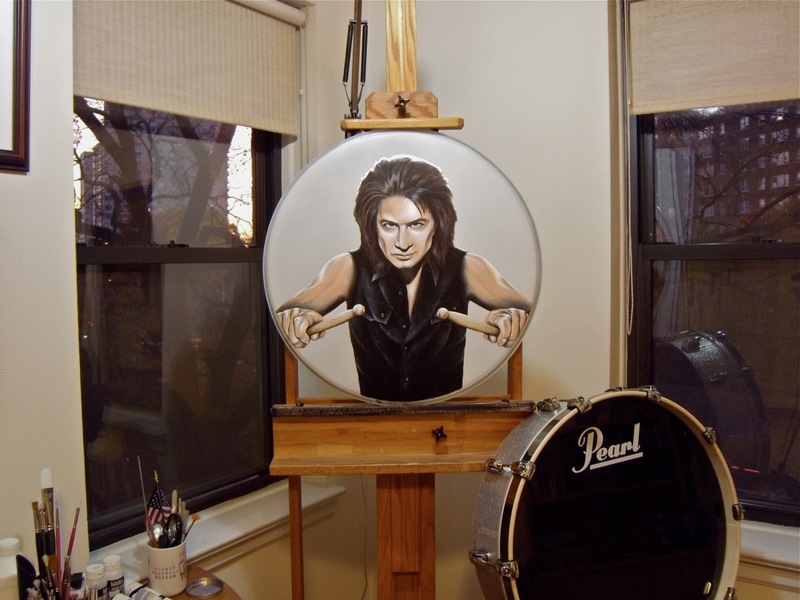 The viewer sees the image, reflected back, as Michael would see upon striking the drum. 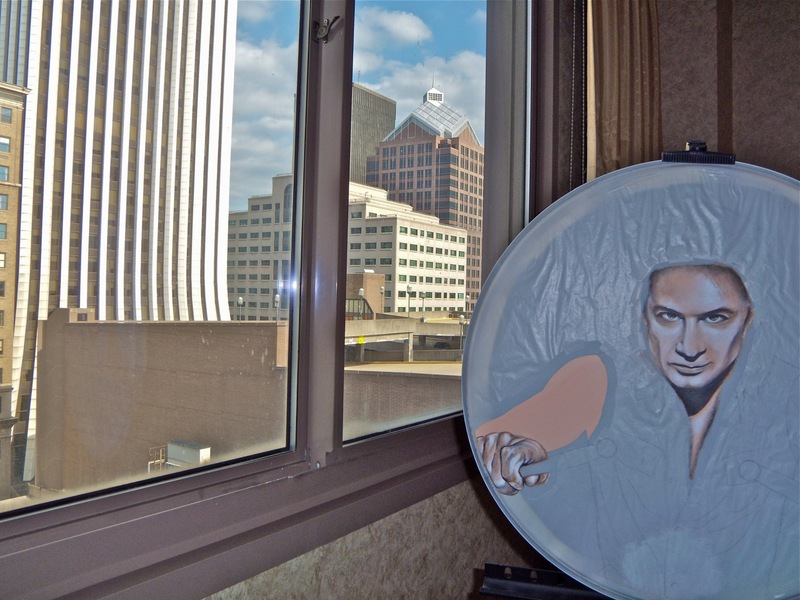 This acrylic painting (on a 22" diameter Bass Drum head) is also a tip of the hat to one of Michael's favorite artists, M.C. 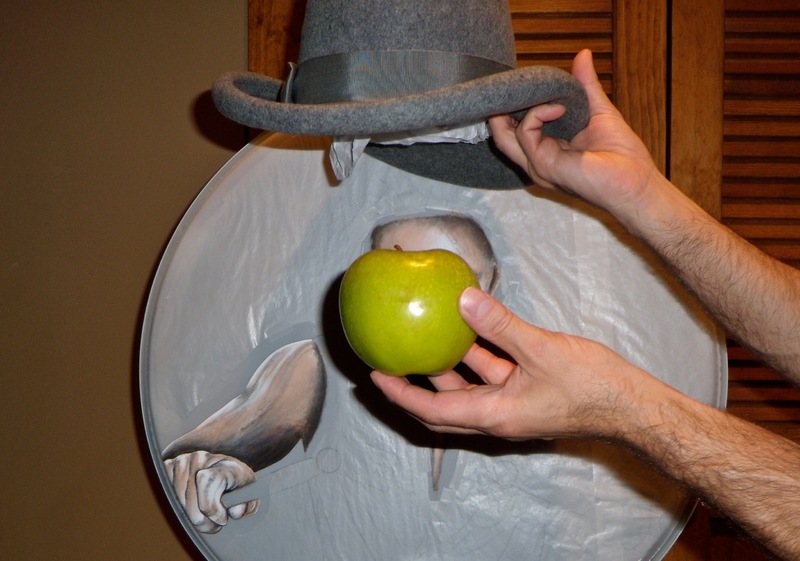 Escher, and his brilliant 1935 work, Hand with Reflecting Sphere. 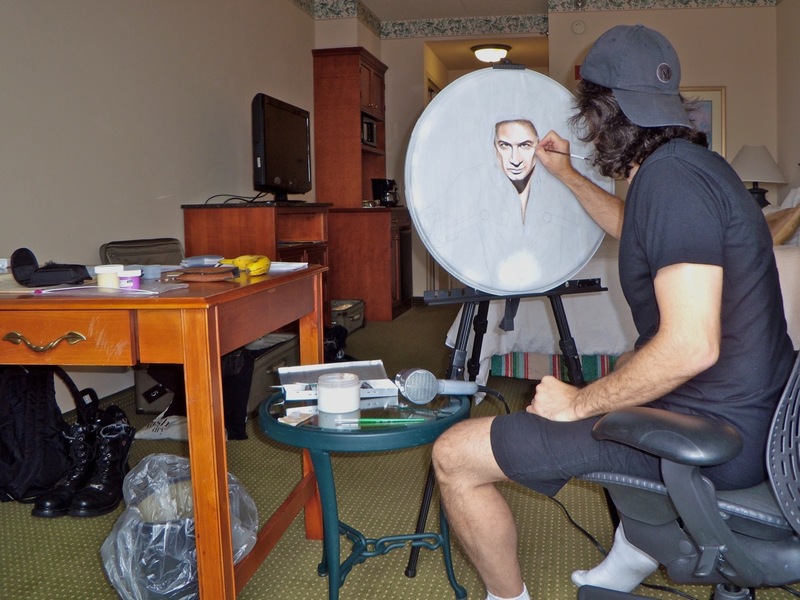 Self-Portrait is being offered as a giclée on canvas print, with a Limited production of 62 signed and numbered pieces. 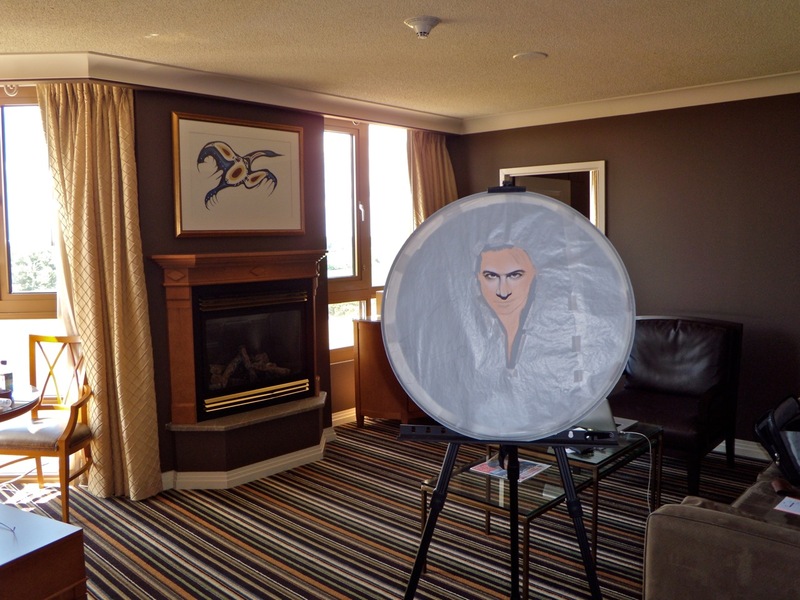 The canvas measures 26" x 26".